FREE Nylon off-billet, Nylon tie strap and Cinch with ANY Fabtron Saddle Purchase! $60 Value! While Supplies Last! 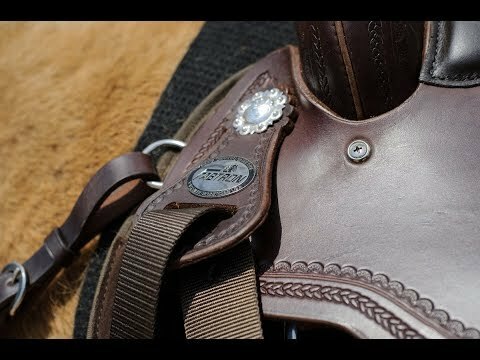 Proven design, quality American Steer hide leather, a proven Flex tree, and lightweight Cordura firmly elevate this saddle into a class by itself. It features a 17-inch seat, nylon Cordura fenders, back plate and fleece lined skirt, leather-padded stirrups, and leather-reinforced nylon stirrup straps with quick change buckles. The rough out padded seat provides a neat suede look, softer to the touch and a secure seat feel for added comfort. What size seat is this?? BEST ANSWER: Items summary is stating, Saddle features a 17-inch seat.